An easy way to keep track of numbers and goals when implementing technology in caring for your dairy calves. and management efficiencies can be compared. calf management in either system. facilities. This difference may normalize as depreciation will occur as facilities age. Operations with the highest housing cost also had the highest total allocated costs. of a renovated facility also may be an option for certain operations. therefore, suggesting different strategies to manage calves and improve employee comfort. 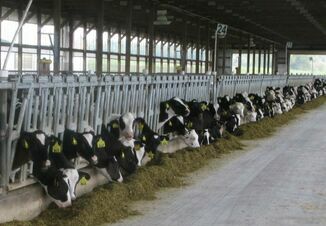 To view the full white paper, please visit http://fyi.uwex.edu/heifermgmt/rearing-costs/.